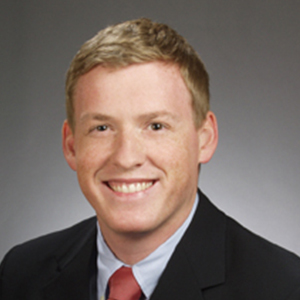 Scott joined Lincoln Property Company (LPC) in 2007 after obtaining his undergraduate degree from Connecticut College. In his current role as Vice President of Investment Sales for the commercial Boston office of LPC, Scott oversees all partnerships for joint venture investments and financial advisory to clients looking to invest in the Boston market. Scott has worked on over half a billion in successful acquisitions and development that total over 2,000,000 square feet of commercial assets and development across Massachusetts. Scott has worked with a number of financial investment vehicles including, but not limited to: pension fund investors, fund managers, private wealth investors and foreign capital. Once a project has been acquired by LPC within a partnership, Scott and his team are then responsible for the oversight of the asset by implementing the business plan put forth at acquisition. Due to the LPC model, the asset management team is able to effectively evaluate tenant relationships, operating best practices, value-add capital plans, financial strategies and dispositions. During the hold period of an LPC asset, Scott would be the point of contact for any debt relationships and dispositions. Scott has been a member of numerous organizations in the Boston real estate market including REFA and NAIOP. Scott is an alumnus of the Boston University Certificate in Real Estate Finance program and a certified Real Estate Salesperson in Massachusetts. Scott lives in Charlestown, Massachusetts with his wife, Lauren, and their daughter Siena.